Sea turtles are cold blooded animals, belonging to the classification of reptiles, which includes snakes, crocodiles etc in its genre. They are sometimes called as marine turtles. 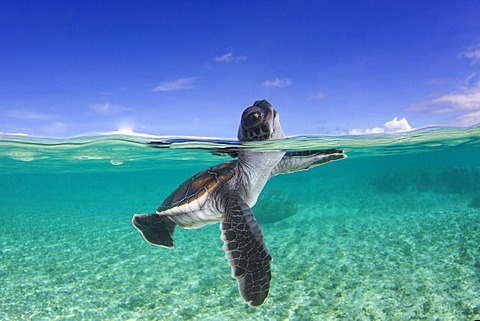 Sea turtles live all over the world. 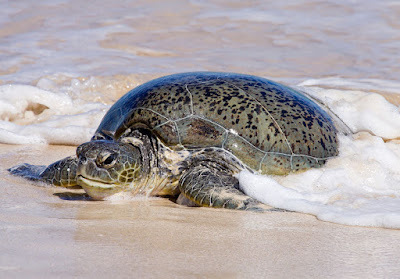 Let’s explore interesting facts about sea turtles. Sea turtles can stay underwater upto 5 hours. Sea turtles live a solitary life. Sea turtles don’t have teeth. Male and female sea turtle cannot be differentiated externally until they reach maturity. Two or more males may court a single female. Bigger species of sea turtles are found in the southern hemisphere in tropical and warmer waters. Male sea turtles never return to the shore once they are hatched, whereas females come to the shore only during nesting season. The gender of the baby turtles can be determined by the temperature. 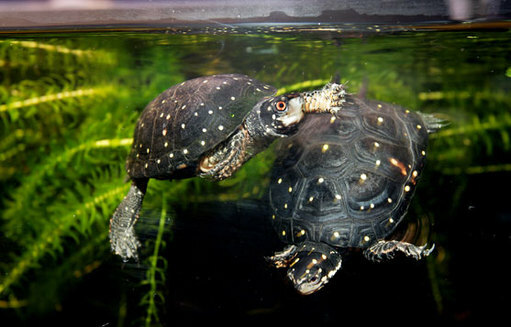 If the temperature of the egg is high a female is born, if the temperature of egg is low a male turtle is born. 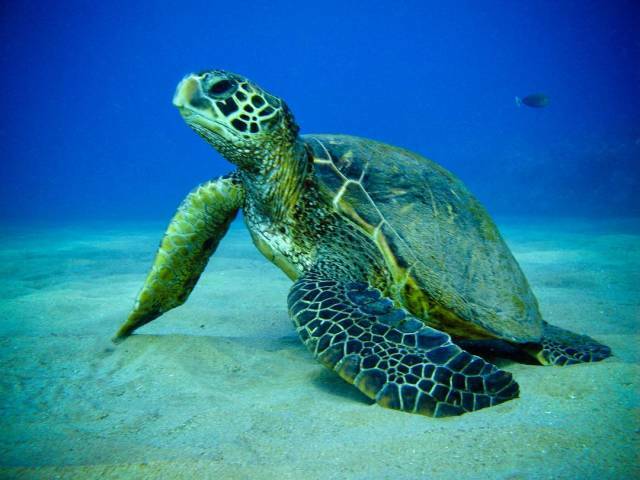 Sea turtles have lungs and breathe atmospheric air and they need to come back to the surface to breathe.